Camera Obscura & World of Illusions are extremely dedicated to local and national sustainability and to becoming as environmentally friendly as possible. We aim to exercise the best environmental practice in order to reduce our impacts on the environment and encourage sustainability both locally and globally. We are committed to meeting and exceeding all environmental legislation as well as the Equality Act 2010 and Modern Slavery Act 2015. 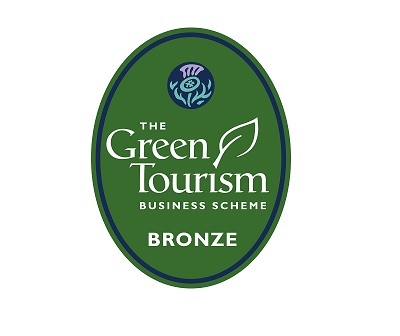 To show our dedication to the environment, we are measured and assessed under the Green Tourism Business Scheme – the leading sustainable tourism certification scheme within the United Kingdom. We will minimise our waste by Reducing, Reusing & Recycling where available. We recycle a full range of materials such as paper, cardboard, plastic, metals and glass. We reuse building materials within our attractions to create new structures and exhibits. We will reduce the use of electronics, lighting, water & other energies where available. Our attraction is closed down fully at the end of each working day to conserve energy. Our bathrooms are fitted with hand sensors when washing hands to minimise the wasting of water. We are currently in the process of replacing the majority of our lighting to LED. We will continue to help our local community by supporting a variety of charities & schools. We support the local charity CCLASP by encouraging our staff and visitors to donate any spare change in our donation boxes provided. We also support other local causes where we can. The free tea and coffee we provide for our staff are all certified Fairtrade & organic. The milk provided is sourced from a local farm in East Lothian. We also provide fresh fruit every day for our staff to enjoy. We will continuously monitor and adjust our Green Policy to ensure we keep on track to achieve our goals. Where possible, please consider using public transport to get to and from Camera Obscura & World of Illusions to minimise carbon emissions. Please keep our building & rooftop clean by using the recycle bins provided throughout our attraction or by taking your rubbish away and recycling them at the nearest available point. When visiting our attraction and/or purchasing gifts from our shop, please advise our staff if you prefer not to have a carrier bag. If you are visiting our gift shop without your own shopping bags, we offer durable bags for life which we will replace free of charge once no longer useable. The original bag for life will be recycled accordingly. We encourage visitors to our attraction and to Edinburgh to buy, eat and see local and to experience what Scotland has on offer – visitors wishing to try local Scottish produce should look out for the Fairtrade, The Soil Association or Slow Food Scotland logos. We recommend supporting other green businesses. There are hundreds of green businesses throughout the city who, like ourselves, are trying to reduce their impact on the environment. More information about this can be found on the Green Tourism Business Scheme website.